The Scoop: Google Maps is taking the people’s use of digital maps by storm. However, how much do you know about Apple Maps? Did you know then that there are features Apple Maps can do that Google Maps can’t? Check what they are and maybe try them out yourself. Google Maps is the most popular companion of everyone everywhere. They are the sophisticated source of direction that can give people a lot more than just directions. They also give hilarious street views and even strange sightings that are actually here with us on Earth. It seems that Google Maps have everything already, yes? Wrong. Little did you know, Apple Maps may have something under their sleeves to outmaneuver Google. And there are. Here are some of the things Apple Maps can do that Google Maps can’t. 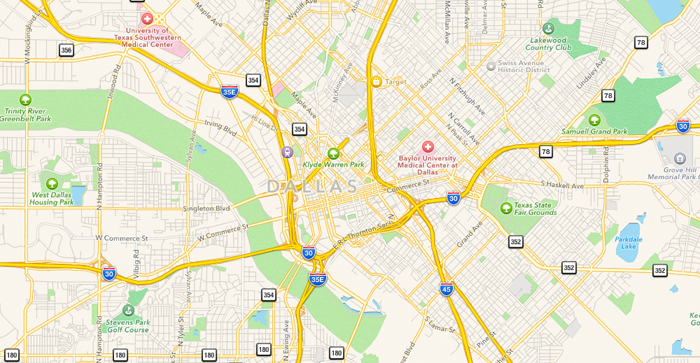 Apple Map’s Flyover Mode is their competition to Google map’s street view. It is one of the best features of Apple Maps that lets you take a 3D tour of the city. You will be able to explore the place as if you are flying over it thus the name of the mode. You can search a city and you will be able to see the Flyover button if that city support Flyover Mode. Sure, Google Maps may list weather of different cities but can it also detect the weather of a landmark? Probably not. Fortunately, Apple Maps can do that! It shows the current temperature and weather condition using a little icon on the lower right. Not only that, it also provides you further information such as the weather forecast for the next five hours and even a nine-day forecast. Sometimes looking for where you will be heading is a bit overwhelming especially when tall buildings and landmarks can get in the way. Apple Maps can also offer that feature with their 3D turn-by-turn navigation that can help you get your bearings while traveling through the chaos much easily. Admittedly, Apple Maps still have a long way to go before they can dethrone Google Maps. However, that doesn’t stop them from trying to innovate their services to get to that goal more closer. So what do you think about these features on Apple Maps? Like this article? Read some more here!